On Sunday, at least 79 students and 3 teachers were kidnapped from a Presbyterian school in Cameroon. Governor Deben Tchoffo stated that Sunday’s kidnapping occurred around Bemenda. A video depicting the kidnapped students allegedly surfaced on social media. The video is believed to have been taken by the Amba boys, a group whose name is in reference to the state of Ambazonia that armed separatists are attempting to enact in the northwest and southwest regions of Cameroon. Prayers for their safety and release. Jesus tells us that His yoke is easy. But at the same time, He does not refrain from calling it a yoke. A yoke is a device that connects you directly to the weight to be pulled — the work to be done — just as a workhorse is connected by yoke and harness to the plow to be pulled. Accepting the yoke of Jesus means committing to work — sometimes to hard work. He still calls it easy, because it spares and frees us from the yoke of the law. If you have ever felt the need to strive to be good enough for God, to seek approval from others, or to perform — and still not felt acceptable no matter how hard you struggled — then you know something about the law. That yoke is impossible to bear, and therein lies perfectionism, self-condemnation, guilt, and shame. It will break your back if you take it on. The aha moment for me was when I realized that I don’t have to be good enough for God. And I’m not. The Cross freed me from that burden and helped me to experience the benefits of being loved over being good enough. I learned that it is the relationship of dependence and abiding in my connection with Him that made all the difference. That has truly been the easy yoke in my life. Yet I believe that even the way of the law, as hard as it is, is actually less difficult than the way of entitlement. Why should that be? Because the law at least drives us to hunger for and search after God. The way of entitlement, however, begins and ends with narcissism. Attempting to be good enough for God yields more hope than demanding to be God. In my work with men and women, I often see a progression: Entitlement gives way to law, and then law gives way to grace. The self-absorbed person finally comes face-to-face with the reality that he is not God, nor is he as grandiose and bulletproof as he thought. This truth brings a lot of pain. So then he moves to another tactic: He tries to be very, very good, and do things very, very well. He wants to show that he can earn his way out of his failings. But ultimately this tactic fails, too, as all our works do. At that point, he is ready for God’s Hard Way — the path that says we are all failures, that we all have to admit those failures and take responsibility for them. And then, having faced the intolerable, we come face to face with grace. The grace of God is the only possible way to accept ourselves, to learn humility, to take responsibility, to make the necessary changes in our lives, and to become the individuals God designed you and me to be. In the end, it’s all about grace, the very grace of God. So stand against entitlement in every form in which it manifests itself. Resolve your own tendencies toward the disease. Be a loving and firm force for helping those in its trap to find life and hope. And you will make the world a better place. Jesus decapitated Satan at Calvary, but the old serpent still has the ability to strike at us. From God’s perspective, he’s in his final hour. But we must guard against him day and night, realizing, though defeated, he is still a dangerous enemy. One way Satan strikes us is by creating rage and bitterness in our hearts. Everyone has moments of anger, but when that anger settles into hatred, resentment, and a grudge-like spirit, we’re in danger of giving place to the devil. Even though he is a defeated enemy, it’s best to stay clear of him. Lord, crush the serpent in the dust, and all his plots destroy; / While those that in thy mercy, trust forever shout for joy. Millions of Christians around the world are persecuted for their faith daily. From Pakistan to Kazakhstan, Nigeria to North Korea, Christians routinely face discrimination, harassment, violence and even death for their faith in Jesus. Their suffering is unimaginable. 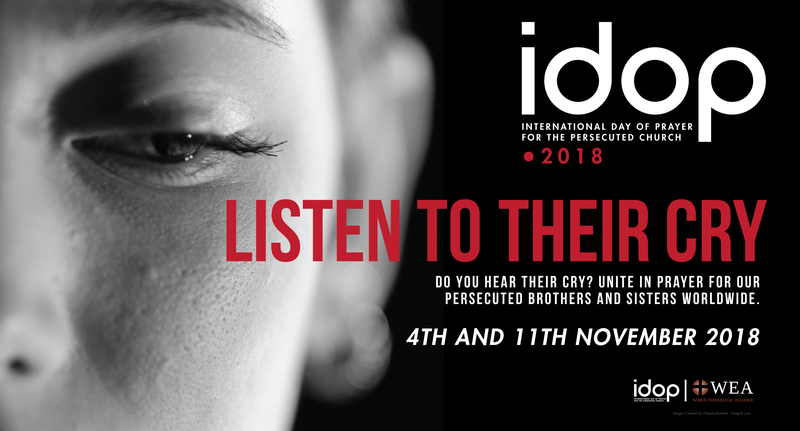 Over the years, the IDOP has served as a platform to highlight the stories of persecuted Christians and mobilise the global Church to respond to their plight. 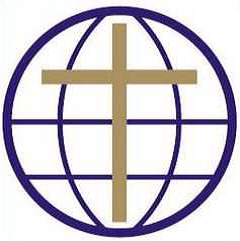 Moreover, in so doing, the IDOP has also been a source of solidarity and encouragement to persecuted Christians by reminding them that they are part of a larger, global family of believers. We believe that God uses the prayers of his people to strengthen and deliver suffering saints. However, in order to pray for these suffering brothers and sisters, we must first listen to their stories. In other words, we must hear their cry. 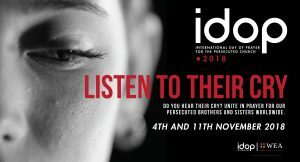 We invite you, therefore, to join us this year on 4th and 11th November as we unite globally to pray for the persecuted. Let’s pray that in spite of the pressure and persecution, our suffering brothers and sisters –where ever they may be in the world — would stand firm in their faith, hold fast to the promises of God, and live victoriously in Christ.